Barcelona will be desperate to avoid losing any key players this summer, but Man Utd are reportedly giving them real cause for concern. 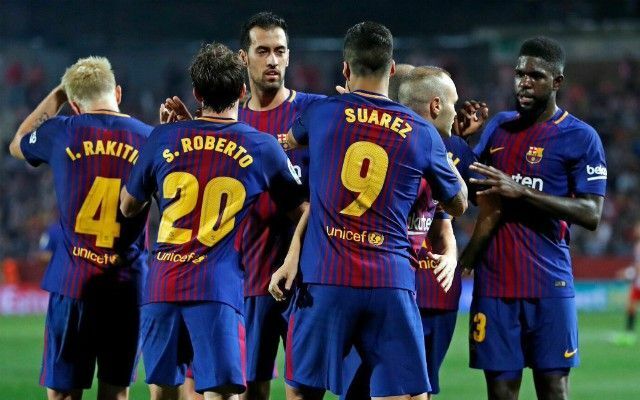 The Catalan giants currently hold an eight-point lead at the top of the La Liga table, have booked a Copa del Rey final date and continue to pursue the Champions League. A big part of that success under Ernesto Valverde has been their ability to find a balance between scoring plenty of goals and keeping it tight at the back, as they’ve conceded just 13 goals in 27 league games to give them the second-best defensive record in Spain’s top flight. The partnership between Samuel Umtiti and Gerard Pique has been pivotal in that, and with a lack of quality depth behind them, there is already an argument to be made that they need to bolster their options in that department. Instead, Sport report on how Man Utd are pushing to sign Umtiti, who has a €60m release clause in his contract, which the Red Devils are said to be willing to pay. Further, and perhaps most concerning, is the suggestion that United are in ‘constant contact’ with Yannick Umtiti, Samuel’s brother and agent, and so that really will cause panic that the French international may be closing in on a move to Old Trafford this summer, or at the very least is interested. It’s difficult to see why the 24-year-old would want to leave the Nou Camp in truth, as he has established himself as a key figure for the present and future group, while Barcelona are competing for major honours and likely to win silverware. United are an attractive proposal for any player given their history and class, but surely the Frenchman is just getting settled at Barca and has a long, successful career ahead of him while becoming a senior figure in the years ahead.